One of the reasons for feeling reluctant about giving up alcohol is not knowing what to expect. Stepping into the unknown will always feel scary, but this fear can be reduced by researching what is likely to happen after giving up; after all, it has been said that knowledge is power. 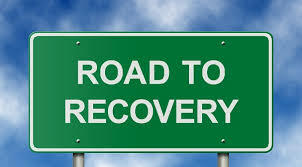 Below are some of the main things that can be expected in the first month of recovery. body tremors – usually in the hands. These withdrawals usually begin about 12 hours after your last drink, and you should be over the worst of them in a week. It is not usually the discomfort of these symptoms that are the problem, but the fact that you know how easy it would be for you to escape them by relapsing. If you fully commit to sobriety, you will find the whole process much easier. It can also be a great help if you go through withdrawals at an inpatient detox. If you have been a heavy drinker for many years, you may be at risk of developing a severe form of withdrawals known as delirium tremens (DTs). The symptoms of this can include convulsions, extreme confusion, intense hallucinations, and dangerous changes to pulse and blood pressure. People can die from the DTs, so it is vital that if there is any risk of you developing DTs, you must be medically supervised. You also risk delirium tremens if you have been abusing barbiturates as well as alcohol. You will usually be through the worst of your withdrawals within a week of giving up alcohol, but you may continue to have mild symptoms for the rest of the first month (in fact, these symptoms can last up to two years). Post-acute withdrawal symptoms (PAWS) include insomnia, concentration problems, and low motivation. The symptoms of PAWS decline over time and, for most people, they will be gone by the end of the first month. early sobriety can be a stressful time as you get used to living free of alcohol. It is probably going to take a bit of time before you are reacclimatised to your emotions. In Alcoholics Anonymous, they tell new members, ‘the good news is you get your feelings back, the bad news is you get your feelings back’. The fact that you have given up alcohol should mean that you begin to notice improvement to your life almost immediately. At the very least, you should have the good feelings that arise because of doing the right thing. As your withdrawals subside, you are likely to experience improvements in your physical and emotional well-being. If you have been dealing with alcohol-induced depression, you may notice improvements within the first month. It is vital that you have realistic expectations at this point in your recovery; it is going to take time for things to improve. It is a good idea at this stage of your recovery to begin journaling. This is a very therapeutic activity, allowing you to track your progress. Sometimes it can be easy to miss the improvements to your life as they may occur slowly; a journal allows you to look back to see how far you have come. You deserve to feel good about yourself for having broken away from addition. It is also right that you should be feeling a lot more positive an optimistic about the future. Feeling good is what recovery is all about, but there is a risk that you can end up feeling so good that it puts your sobriety at risk. Sometimes, individuals in the first month of recovery experience something known as pink cloud syndrome, which refers to a situation where their elation is at a dangerously high level. It might sound a bit mean-spirited to treat being too happy in recovery as a problem, but there are real dangers associated with pink cloud syndrome. It could mean that the person becomes convinced that their problems are solved, meaning that they do not see the need to work hard to create a solid foundation for their sobriety. It could also mean that when the pink cloud ends, which it always does, the person can really come back down to earth with a bang – they may even become so disillusioned by this abrupt end to their bliss that they use it as an excuse to relapse back to addiction. The fact that you have given up alcohol is a great start, but it is not enough to secure you a good life, which is why it is so often claimed that recovery is a process and not an event. During the first month, you will need to work hard in order to create a solid foundation for your new life. One of the best places to do this is at an inpatient rehab programme. This will give you the opportunity to pick up the tools you need to build a good life. The goal of recovery is not to get you back to where you were before you fell into addiction – if life were that good back then, it is unlikely that you would have started to abuse alcohol. The likelihood is that you have been using alcohol as a means of coping with life. It is vital that during the first month of recovery you are able to develop new strategies for coping. If you do not do this, you risk the temptation of returning to alcohol for comfort or you could end up turning to new maladaptive behaviours in an attempt to cope.